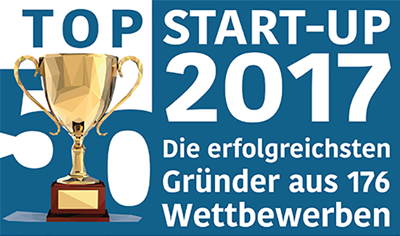 The online portal Für-Gründer.de (https://www.fuer-gruender.de/) published a ranking of the top 50 startups in Germany. Amongst 752 award winning startups, the top 50 were selected and AUCTEQ Biosystems was ranked on place 32. The annual ranking was published for the 4th time and is available as an electronic version online.